What are the drawbacks and benefits of electric cars? Find out inside. What are the benefits/disadvantages of all-electric cars? As the climate change crisis unfolds in terrifying slow motion, it is increasingly obvious that if the climate change problem is to be solved, ordinary citizens need to stop waiting for their government to do something, and take massive action themselves. While there are some aspects of fossil fuel emissions that will need an act of congress or parliament to change, most inputs could be dramatically reduced tomorrow if we changed our habits, actions and spending habits in favour of green or greener alternatives. One classic choice in our car-dominated culture is the question of eschewing one’s gasoline guzzler for an electric car. Some think that it is a green hack that will change the composition of our carbon choked atmosphere within a short period of time, while others think that the present hurdles to its widespread adoption are still too high to get over. In order to allow you to make an informed decision, we have gone to the trouble of pulling together a list of pros and cons that let you know what the benefits of electric cars are … and where they fall down. People often misconstrue the poor energy efficiency of solar panels with the efficiency present in electric cars. The truth of the matter is that electric cars transmute more of their energy from the engine to the wheels (59-62%) than gasoline burning cars (only 17 -21%). This point is one that is very easy to tout, as no exhaust passes from the back of electric cars. So long as the power source generating local electricity is from a clean source, driving electric cars is a big part of clearing the air of carbon and other harmful air pollutants. This is perhaps the most shocking fact for traditional car enthusiast. 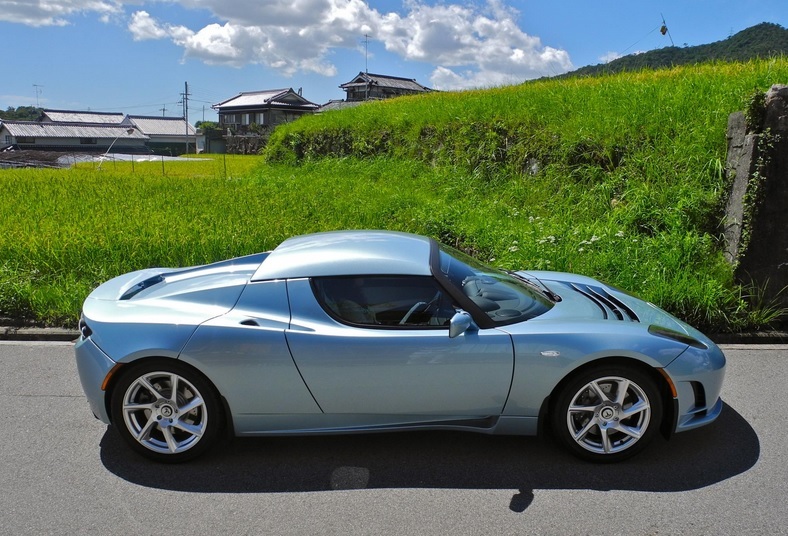 As the Tesla Roadster has so amply demonstrated, the performance of electric engines is vastly superior to their internal combustion cousins, as they are quieter, yet they accelerate much faster and with far fewer moving parts, require a lot less maintenance than normal cars. Unlike gasoline, which can be filled up in large tanks and has a well-established refuelling infrastructure everywhere in the world, electric cars only have limited recharging stations available around the world at present, and they have a battery life much shorter than a tank usually lasts. This is a big problem, as the average range of 100-200 miles is not nearly long enough for electric cars to travel much beyond California at the moment. While there are state of the art charging stations designed to power up your electric car in less than 10 minutes that exist today, they are in the minority. Most plug-ins that are used presently are your standard residential electrical outlet, which can take as long as eight hours to fully charge your automobile. Think that replacing an engine is expensive? Try an electric car battery at today’s prices. Nickel cadmium batteries range in cost from $1,000 to $6,000. Have a car with a lithium battery? Better sit down first, as the cost of replacing these babies can cost upwards of $15,000! One Response to What are the benefits/disadvantages of all-electric cars?